1. Place burghul in a bowl and cover with the water. Leave to sock 30 minutes or so. 2. 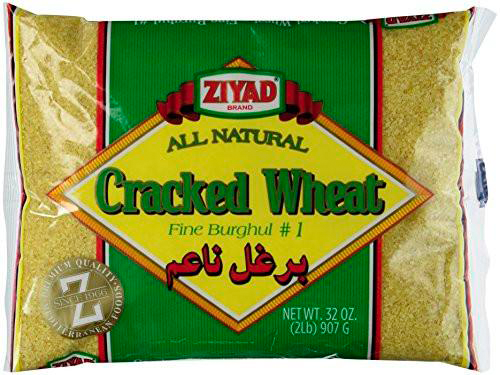 Drain burghul through a fine sieve, pressing with the back of a spoon to extract moisture. Spread on a tea towel and leave to dry a little more. 3. 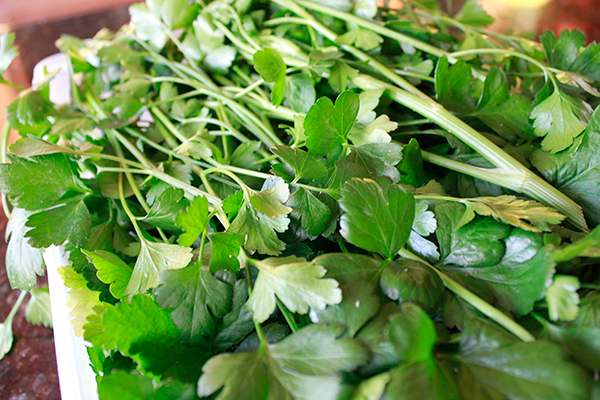 Wash parsley, remove stalks and dry in a spinner - or wrapped in a tea towel whirled around in circles (outside). 4. Place burghul in your salad bowl and add the spring onions. Squeeze the mixture with your hands to the the flavors meld. 5. Chop parsley and add to the burghul. 6. Combine olive oil with lemon juice and salt and pepper and whisk well. 9. Peel (and de-seed if you wish) the tomato then slice small and add. 10. Chill for one hour then serve! 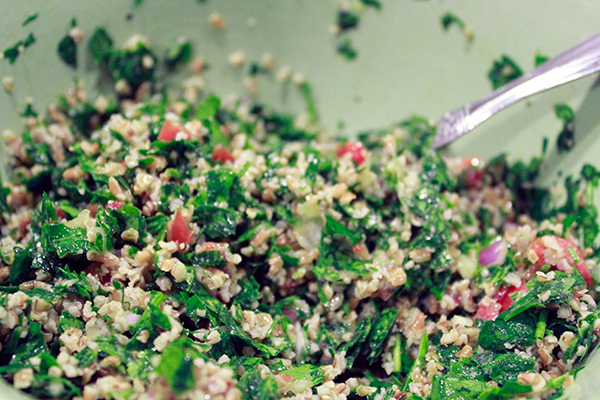 Goes well with pita wraps and lamb kebabs!